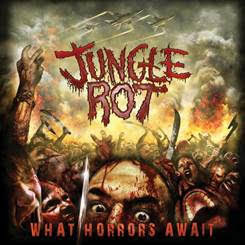 JUNGLE ROT ANNOUNCE REISSUE OF 2009 ALBUM "WHAT HORRORS AWAIT"
The wait is over and the horrors have arrived! JUNGLE ROT’s long out-of-print album What Horrors Await has been remastered and remixed, and for the first time worldwide, is available everywhere digital music is sold. The CD version goes on sale April 6, followed by a vinyl release later in April. 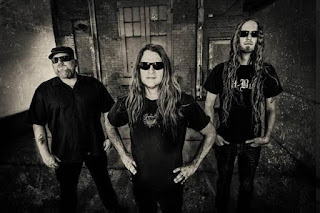 JUNGLE ROT leader Dave Matrise points out, “When we first released What Horrors Await in 2009, it was a one-time deal with a limited run. CD’s never made it to the US and were sold only in Europe where the previous label was based. What Horrors Await has always been JUNGLE ROT’s most sought-after album with fans often paying ridiculous amounts of money for it on eBay. It’s really been a rare and collectible album. We’re so glad it's now out on our home label Victory Records, it will give everybody a chance to finally hear this monstrous re-release. 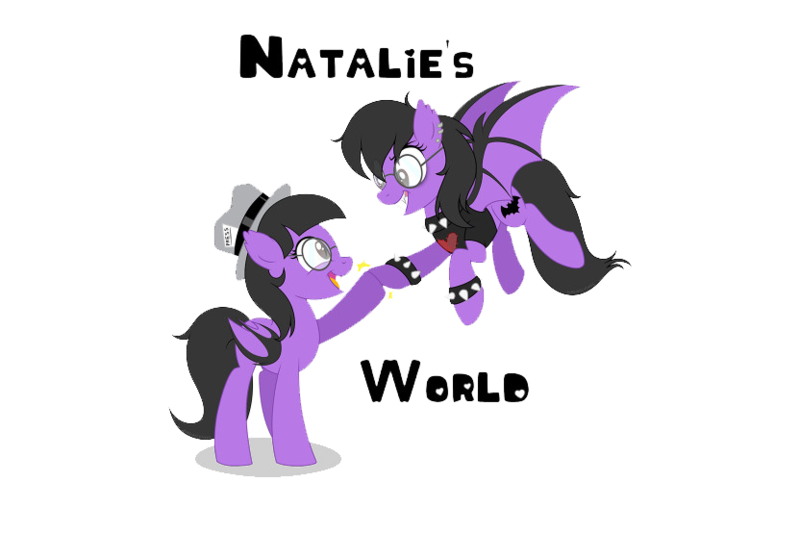 The vocalist/guitarist expands, "The first track on the album, “Worst Case Scenario,” as well as “The Unstoppable” have been armed in our live set for a long time and are fan favorites. Again, I’m so glad these songs have a proper release now the way it deserves. In addition to the cover of Destruction’s “Invisible Force,” there is a lot of death groove and a good mixture of songs on this re-release. I always liked this album and the way it turned out." What Horrors Await marked the first album to feature artwork by Gyula Havancsak, who would go on and paint the macabre imagery on JUNGLE ROT’s following three albums, as well as their upcoming 2018 release. Matrise continues, "I still remember the first time I saw this cover. It came as a total shock and awe to me like a punch the face, and we’ve worked with him ever since." Currently locked away in the Wisconsin frost, JUNGLE ROT is preparing their tenth cluster of bloody-knuckled tunes, coming this Spring on Victory Records. "We've got quite a fire under our collective asses and we're psyched to get this album out! This is going to be a nasty record!" promises bassist James Genenz. The yet-to-be titled album features longtime JUNGLE ROT axe slinger Geoff Bub and former ‘ROT skin-thrasher Jesse Beahler. Check out the pre-order options right HERE.